Taiwanese designer Yi-Fei Chen created a crazy 'Tear Gun' that collects and freezes actual tears to shoot them back at the person who caused the pain - in this case, her own tutor. The poetic concept allows the designer to channel her emotions and fight back against authority. 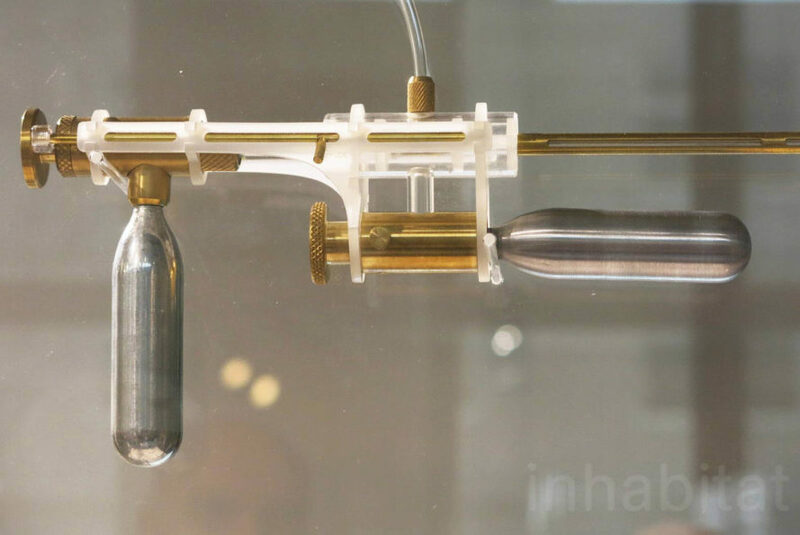 Tear Gun is a strange-looking pistol that collects tears in a silicon pocket under the eye, freezes them in a brass bottle and shoots them like bullets. The design is Chen’s final Master’s project at the Design Academy of Eindhoven, and a way to visualize her personal struggle in a poetic way. She designed the gun after her then tutor Jan Boelen (Z33) pushed her to take a critical approach and confront his opinions, forcing her to confront her obedience to authority that stems from her Taiwanese cultural conditioning. But all she could do was cry. We spotted Yi-Fei Chen’s Tear Gun at the Design Academy of Eindhoven’s Graduation Show during Dutch Design Week 2016. Tear Gun is a strange-looking pistol that shoots real tears. The Tear Gun is designed to "fight" authority in a poetic way. The gun is comprised of a silicon pocket, as well as plastic and brass parts. The tears are snatched with a silicon funnel. Tear Gun is part of the Design Academy Graduation Show 2016.